Amber Rose attends the 2016 MTV Video Music Awards at Madison Square Garden on August 28, 2016 in New York City. 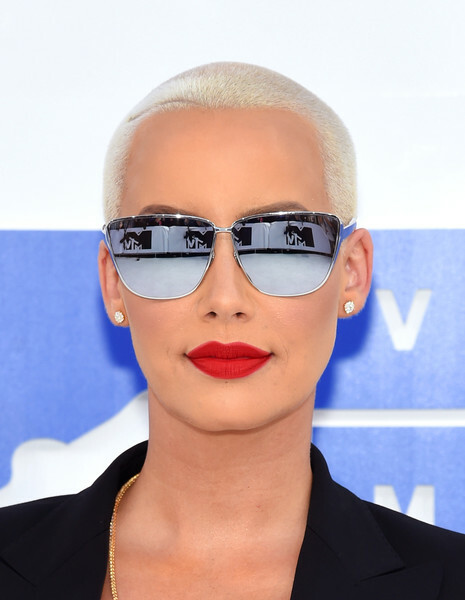 Amber Rose's matte red lippy did an excellent job of illuminating her face! Amber Rose stuck to her signature platinum-blonde buzzcut when she attended the MTV VMAs. Amber Rose's eyewear of choice for the event was this super-cool mirrored pair.